A good chef's knife is absolutely essential in any home kitchen. 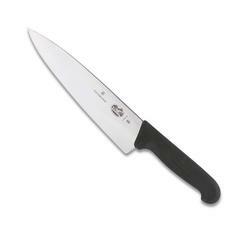 Incredibly versatile, you can use it to chop vegetables and herbs, cut meat, and mince garlic and onion. Unless you plan on cutting veggies on your countertop, you need a cutting board. We love butcherblock end-grain style boards because knife edges slice between the woodgrain instead of across it, which is easier on both the knife edge and the cutting board. For meats, poultry and fish, we use a poly cutting board that can be washed in the dishwasher. A cast-iron skillet cooks better and more evenly than a non-stick skillet, and pulls double duty and an oven-safe baking dish. 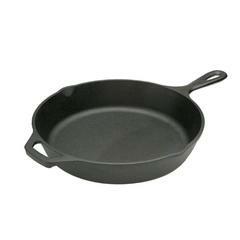 When properly seasoned, it is completely non-stick, and will last a lifetime, compared to a 2-3 year lifespan of a teflon-coated skillet. Again, versatility and durability are the greatest features of a dutch oven. Use it to boil stocks or make jellies and jams on the stove top, or use it in the oven to braise meats or roast a chicken. 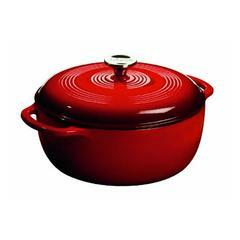 Its heavy bottom ensures even cooking, and an enameled version is easy to clean and non-stick. Baking sheets aren't just for cookies and biscuits. Use them to make healthy, oven-baked versions of many fried foods, like sweet potato fries, chicken wings, and potato pancakes. You can also use them as a prep surface for raw meats when transporting them to the BBQ. 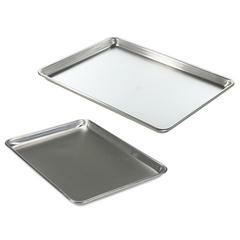 We always line our baking sheets with parchment paper for a non-stick surface and easy cleanup. Kirkland Signature Non-Stick Parchment Paper Available at Costco or online, this is our favorite parchment paper. Use it to line baking sheets for a nonstick surface with the added bonus of easy cleanup. Tongs are one of the most versatile utensils in the kitchen. 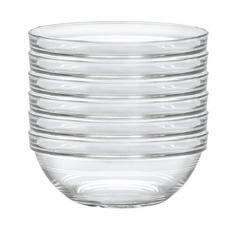 Use them to toss a salad, turn steaks on the grill, stir the stir fry, or reach in a hot oven. From ensuring meats, poultry, and fish are cooked to a safe temperature — but not dry and over-cooked; to double-checking water temperature for baking yeast breads, an instant-read thermometer is your best friend as an enthusiastic cook. Grill, cook, and bake with confidence! If you've ever had a loaf of bread come out flat, or dough that is too sticky or too dry, you know that baking is a science, not an art. Enter the simple kitchen scale: the key to getting that perfect loaf of bread or just-right cinnamon roll. 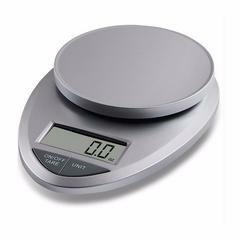 When you weigh baking ingredients instead of measuring volume, you eliminate guesswork, and therefore end up with consistently great results. Mise En Place. It literally means "put in place" and it's the way all restaurant chefs cook. Chop all of your veggies, measure all of your ingredients ahead of time and place them in prep bowls and ramekins, which makes for focus, organized, efficient cooking. Coming home from a long day at work and smelling a delicious roast cooking when you open the door: it doesn't get much better. This tried-and-true kitchen work horse can cook anything from a delicious roast to oatmeal with the press of a button. This guide contains affiliate links for products we love, recommend, and use regularly. We hope you will find them as useful and helpful as we do! Thanks for browsing and clicking!